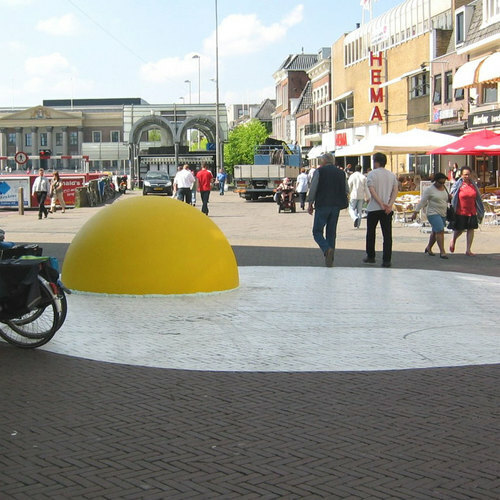 Dutch artist Henk Hofstra (who’s Blue Road we featured in April of last year) is back with a new environmental art project called ‘Art Eggcident’ in Leeuwarden, a city in the north of the Netherlands. 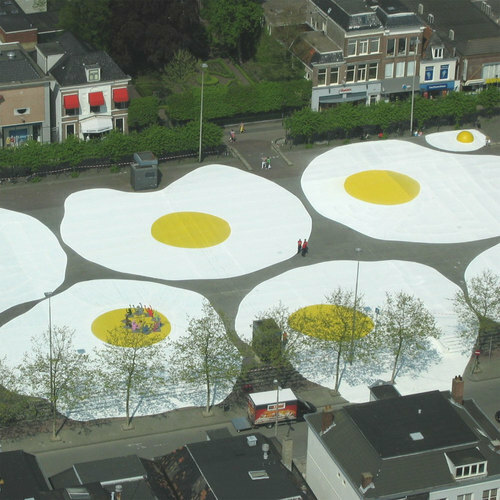 Yesterday, several large eggs (each 100 feet wide) were spread on th Zaailand, one of the largest city squares in the Netherlands. 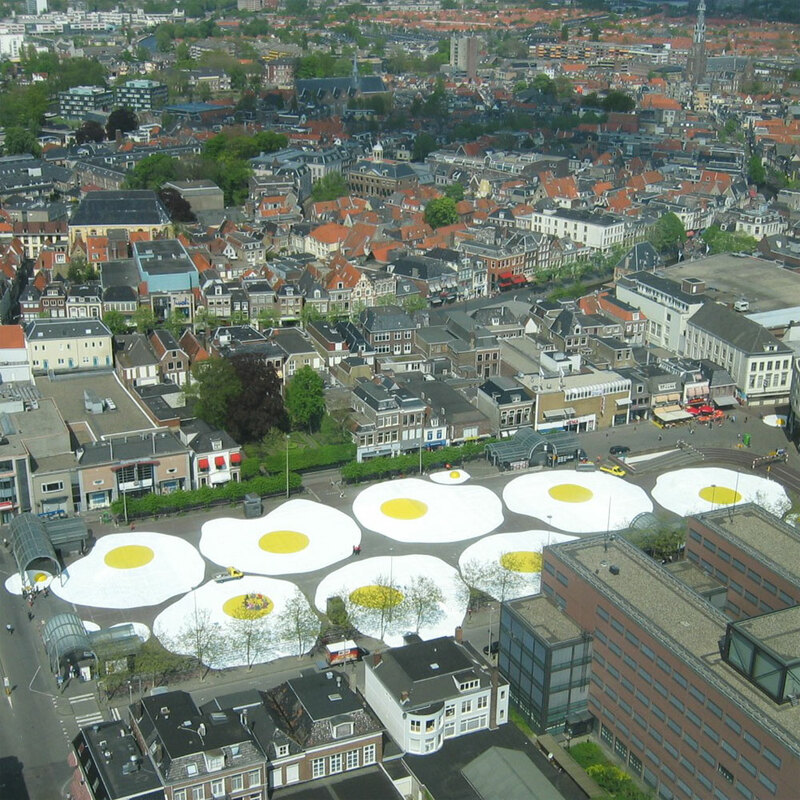 ‘The eggs’ will remain in Leeuwarden for the next six months.